I’ve always felt an admiration for the ability of talented publicists to recall real life facts to support their stories. In my case, I always use a fictional “doping” in my literary works. It kind of feels like a high jumping race, in order to overcome a terrestrial gravitation one athlete relies on the strength of his feet, while the other one uses performance enhancers. When I read Vahid Gazi’s notebook about Cuba, I couldn’t help but feel the same sense of admiration towards him, not only does he describe his adventures in the island of freedom, but he also talks about the real people, their lives and their problems regarding the general political oppressiveness in the country. He speaks of it with such a strong literary ability that he himself becomes a hero of this narrative. Therefore, readers can easily replicate the author’s thoughts and feelings, for instance, when the author refuses the sexual service of breathtaking woman called Chamayra they consider it as their own ethic victory. This is not the only one; many similar emotional episodes can be used as an example. But I’m not going to go into details, because the main thing is, that this book is the wonderful model of literary prose. Even though Azerbaijan gained its independence twenty years ago it’s so called democratic government has it’s own non-democratic ways of controlling country. it is very interesting that in spite of the anti-democratic ways of the government , the younger generation openly expresses their opposition to the any forms of monarchy. My generation, on the other hand, the generation of sixties that grew up in a country similar to Cuba, takes it easy when hearing about people’s limitation of freedom in any corner of the world. The social-political convictions of the author of “Chamayra” come to the surface in every sentence; his belief is so genuine that you believe in it unquestionably. It is quite possible when you turn into the participant of the events in the book, for it happened to me. And an ultimate consequence. The notebook about Cuba is extremely rich with interesting facts. Even though, I have been in Cuba and I have read a lot about this country, I also learned many new things about Cuba from Vahid Gazi’s book. It’s really pleasant to see that publicists in our country are able to create the best samples in their field. Vahid Gazi’s notebook about Cuba is a prominent example for it. 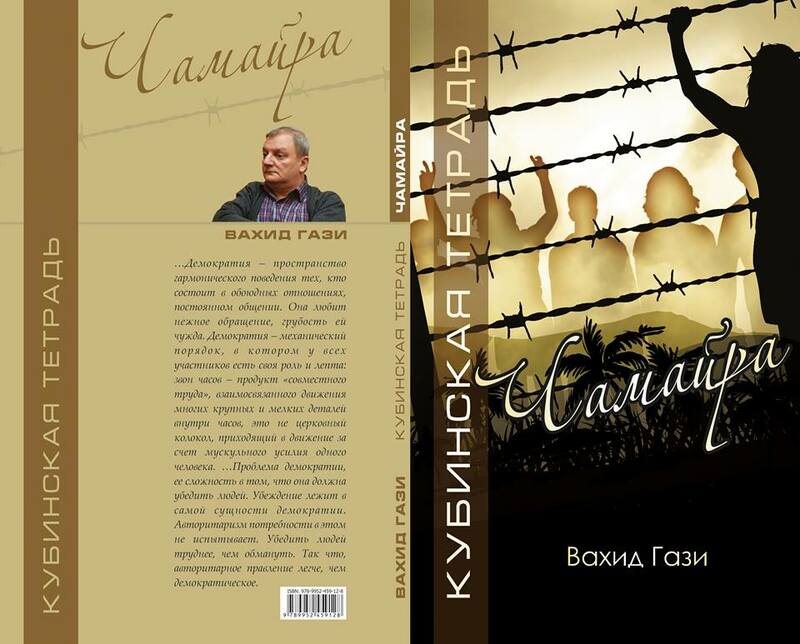 Bu yazı IN ENGLİSH içində dərc edildi və Cuba, generation, island of freedom, notebook, opposition, Rustam Ibragimbekov olaraq etiketləndi. Daimi bağlantını seçilmişlərinizə əlavə edin.